Despite NZDUSD’s sharp decline on Friday, today the pair started its trend with bullish bias. 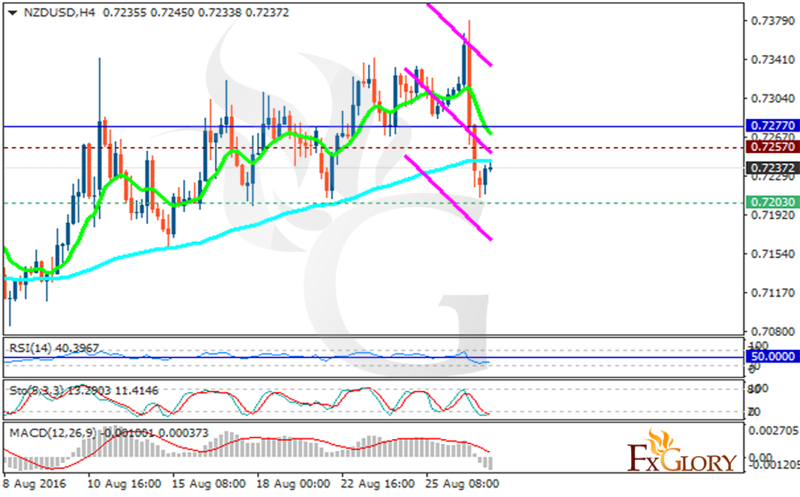 The support rests in 0.72030 with resistance at 0.72570 which both lines are below the weekly pivot point 0.72770. The EMA of 10 is falling down towards the EMA of 100. The RSI is moving below the 50 level, the MACD indicator is neutral territory and the Stochastic is in its lowest rate. There are no signs of pullbacks at the moment, we expect the price growth for now.